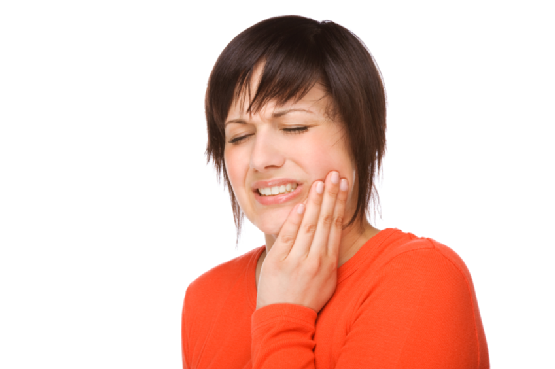 Sensitive teeth is a common problem that causes many people to feel discomfort with hot or cold foods and drinks. It can also make it uncomfortable to brush or floss the teeth and therefore can lead to further oral problems. However, sensitive teeth can be treated. If you suffer from this, your dentist may suggest that you try a desensitizing toothpaste, which contains compounds that help block transmission of sensation from the tooth surface to the nerve. For desensitizing toothpaste to work, you normally have to make several applications. If the desensitizing toothpaste does not help, your dentist may suggest further solutions. For example, fluoride gel – which strengthens tooth enamel and reduces the transmission of sensations – may be applied to the sensitive areas of the teeth. If the sensitivity is caused by receding gums, your dentist may use bonding agents that “seal” the sensitive teeth. The sealer is usually made of a plastic material. If there is severe hypersensitivity which cannot be treated by other means, there is the option of endodontic (root canal) treatment. Sensitive teeth is a problem that can stop you enjoying your food but is one that can often be solved. Contact Wavell Family Dental today for more information. 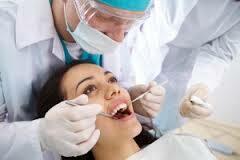 Wavell Family Dental service Chermside, Wavell Heights and surrounding areas. A modern and innovative general dental practice specialising in the following: Crowns, Dental Bridge, Dental Caries, Dental Fillings, Dental Implants, Wearing Braces, Root Canal, Orthodontic Plates, Invisalign, Teeth Whitening, Veneers, Wisdom Teeth. To contact Wavell Family Dental please call (07) 3630 5011 or email info@wfdental.com.au. After hours and Saturday by appointment only. 2017 CreativelyCoded.com ALL RIGHTS RESERVED.